I am in love with making different things out of mason jars. They are just fun to work with and I decided my dogs needed a dog treat jar. We love to spoil our dogs with tasty treats. It is one way we show our love for them. 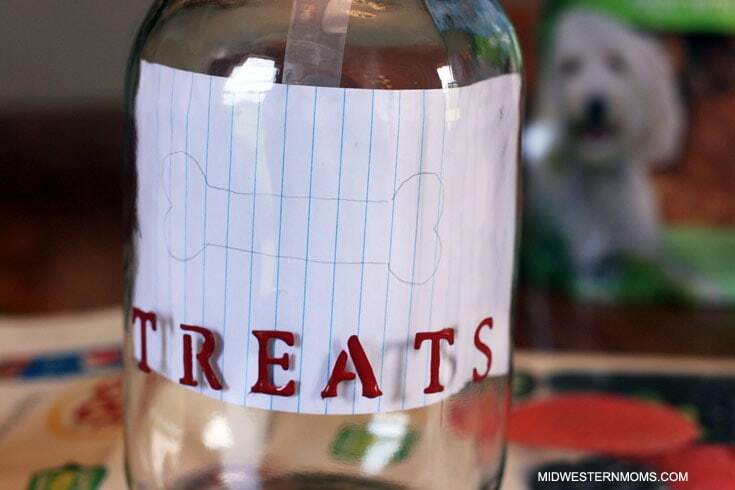 So having a cute dog treat jar on the counter just for them, just says “I Love You” even more! They know it is filled with tasty treats, just for them. Paint – I used Chalk paint but you can use acrylic paint as well. Step 1: Clean the surface of your Mason Jar. Make sure it is completely dry before proceeding. 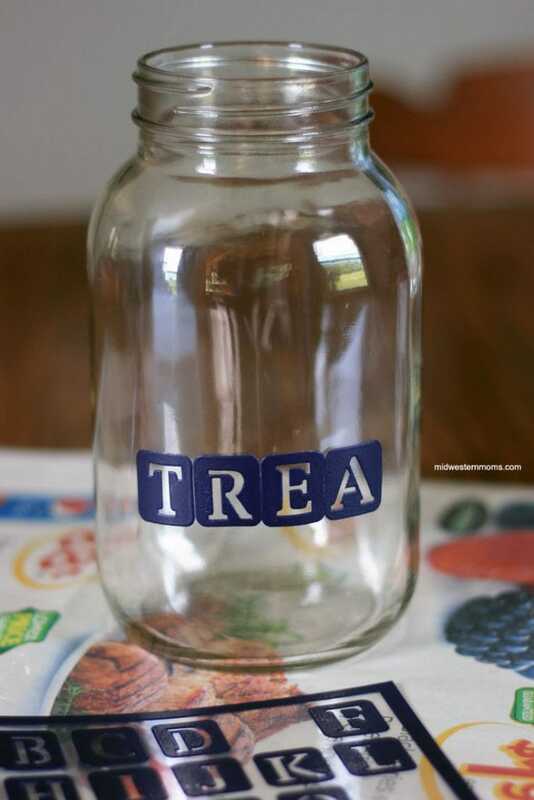 Step 2: Apply your stencils to the jar so it says “Treats”. Step 3: Paint your letters. Step 4: Remove the stencils gently before the pain dries. 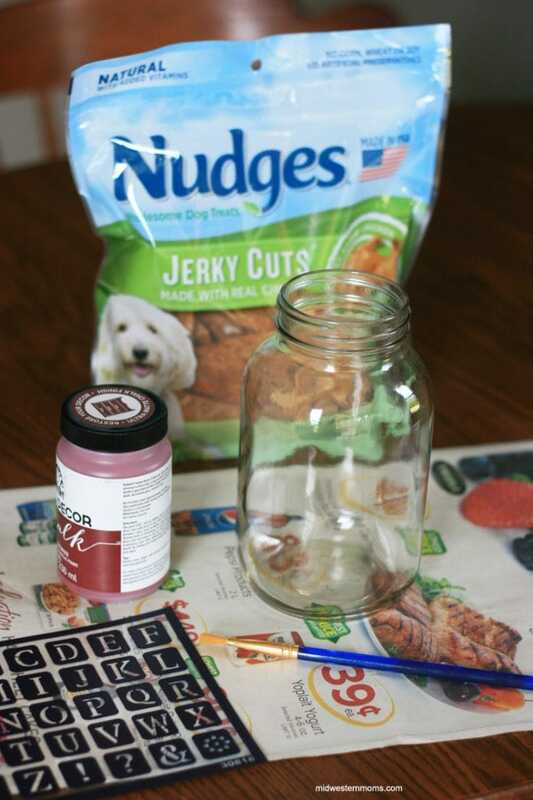 Step 5: Draw a bone on a piece of paper and tape it to the inside of the jar. Step 6: Paint the bone on your jar. Step 7: Allow the jar to dry completely. 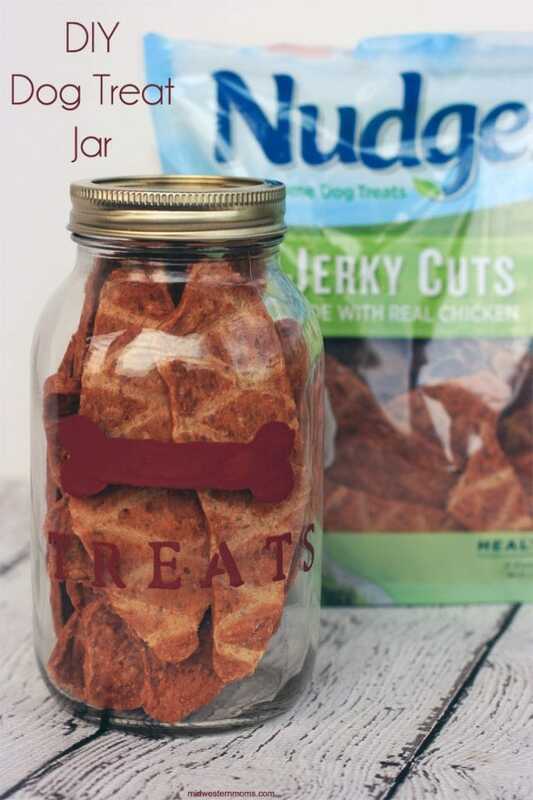 Our dogs love the Nudges®Dog Treats. They come running when they hear the bag rustling or the lid coming off the treat jar. Here is our youngest pup patiently waiting for her treat. Who can resist this face? They are 100% Real! – They are made with real chicken, pork, duck, or beef. There are no artificial fillers or flavors. They are Made in the USA! – Nudges® Dog Treats are made in the United States and they follow the pet food safety rules and regulations. They taste Great! – Nudges® Dog Treats are so tasty that dogs want more! The Chicken Health and Wellness treats they my dogs love are soft and chewy. She says they are lip smacking good! 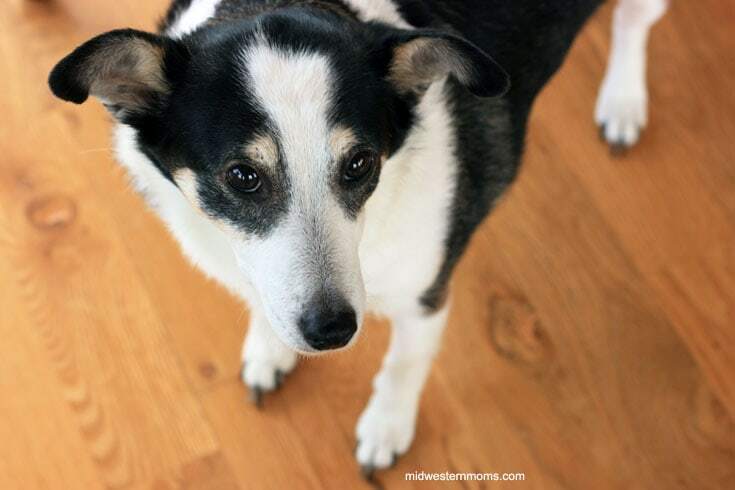 Wondering where you can get Nudges® Dog Treats for your dog? You can get them at your local Walmart in the Pet aisle. They have 12 different types of Nudges® Dog Treats to choose from so you can mix things for your pup and they won’t get bored. Use this store locator to see what store in your area carries Nudges® Dog Treats. Also, make sure you use this coupon! 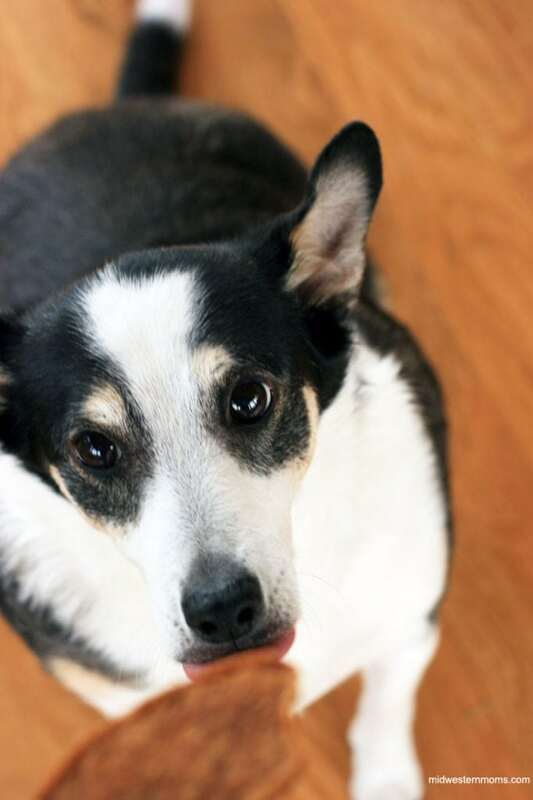 Now when your dogs nudge you, reach for your dog treats jar, and give them a Nudge back.